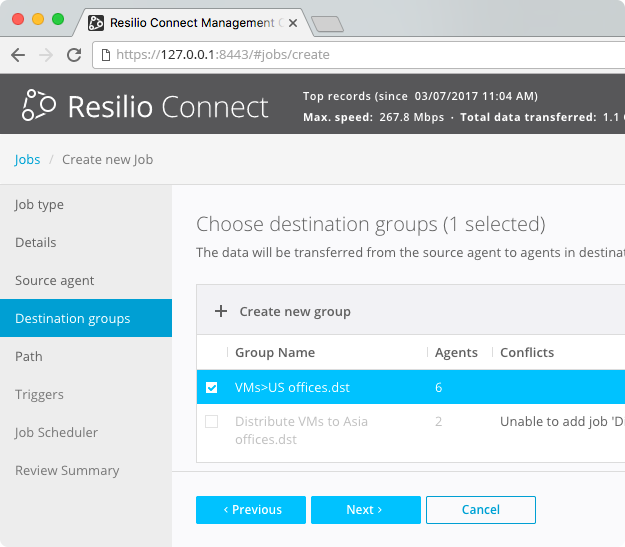 Resilio Connect solves one of the most frequent tasks for today’s admins - mass delivering of data to multiple remote workstations at a time. 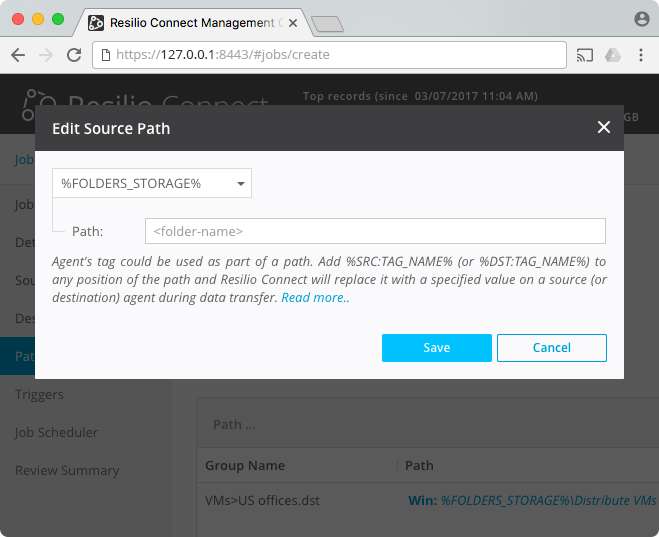 In this example use case we’ll see how to deliver an accounting software update to computers and moreover, remotely install that update. 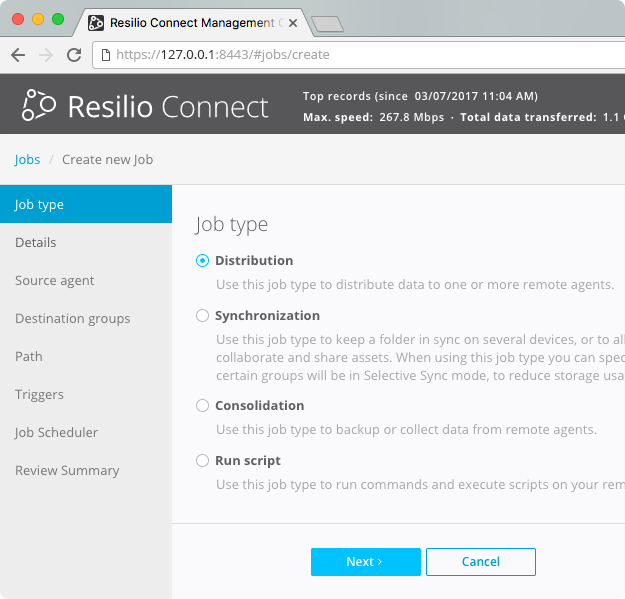 Resilio Connect does this through a Distribution Job. A Distribution Job is a scheduled job designed to distribute data from a server to selected agents. 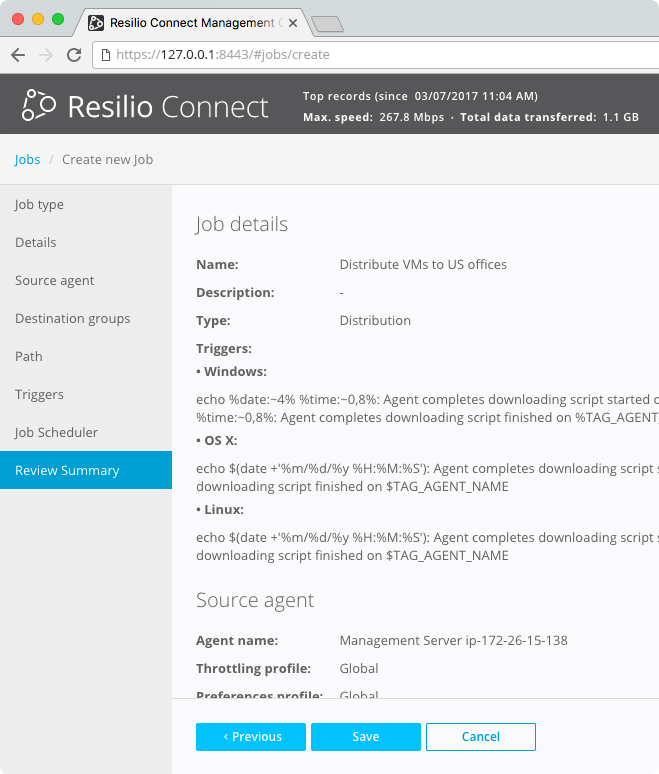 This job looks at the files in a selected source folder and delivers them to remote agents. Once done, the job is rendered complete and triggers the post download scripts. 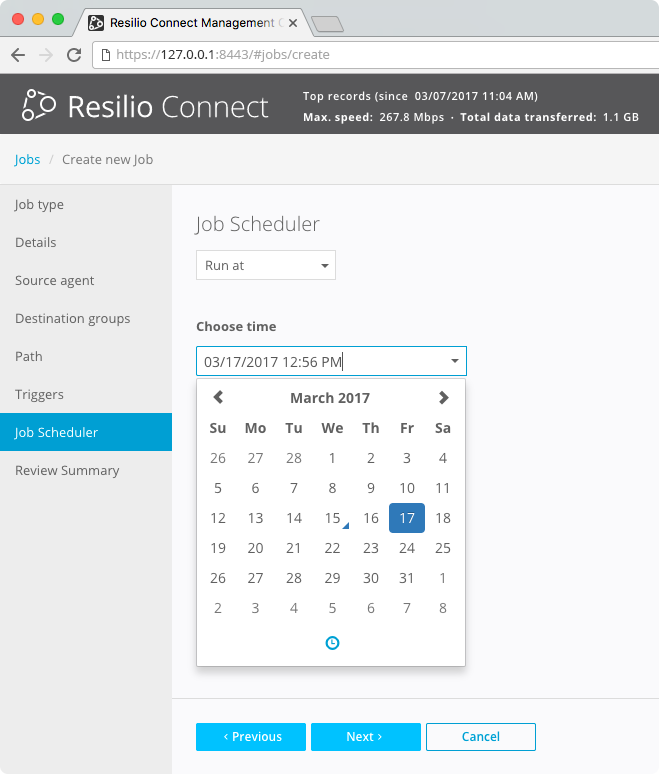 Distribution Job is created and configured on JOBS tab -> CREATE NEW JOB, through a step-by-step wizard. 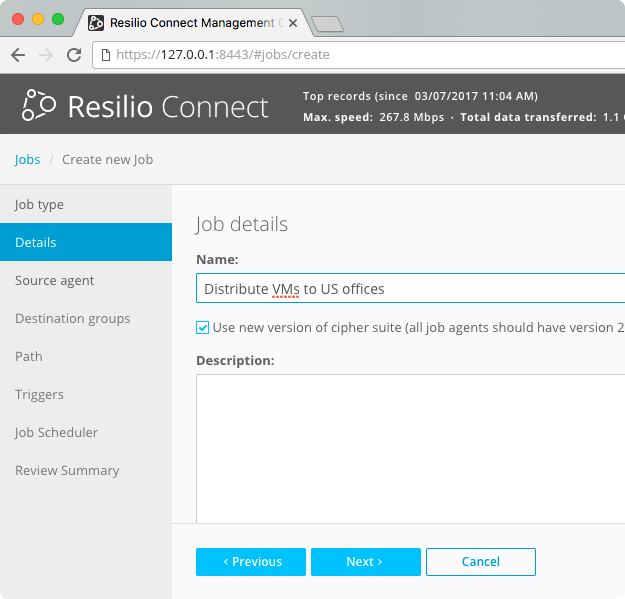 Use this job type to distribute data to one or more remote agents. 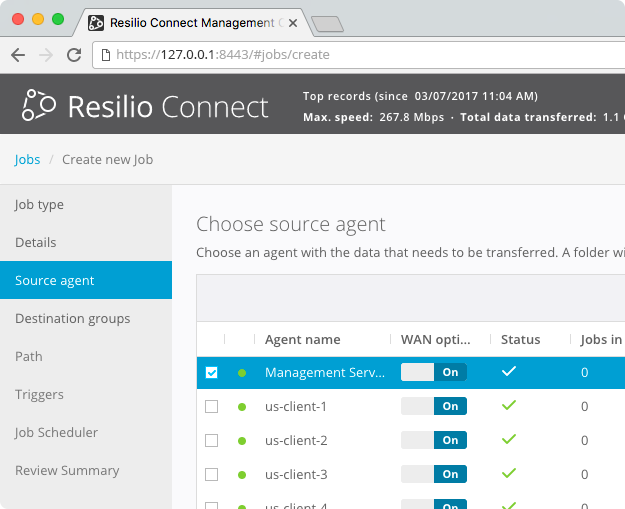 Pick the source agent - the server that will be uploading data to other agents. Only one source agent can be picked. On this step, create a group of agents which will be receiving the files from the server, add the desired agents here, assign a custom Profile and Schedule, if necessary. Pick an existing group is an additional option. On this step, specify the source and destination share paths. On source agent you need to specify an already existing folder. This can be achieved via path macros or by specifying a custom full path. Similarly, on the destination agents you can also use the default path macros or specify custom paths. 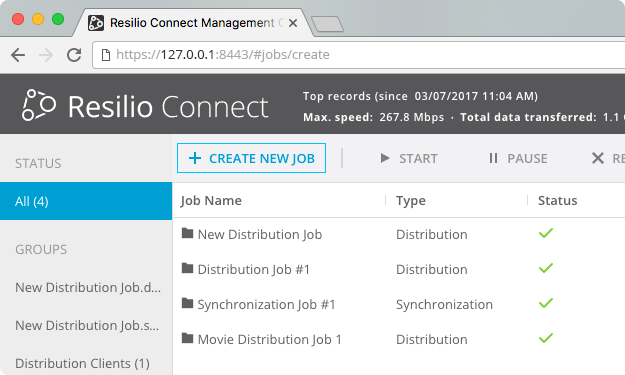 Distribution Jobs support Triggers which make it possible to run a command before the job starts or after it completes. All commands by default are executed in the root of specified destination folder. 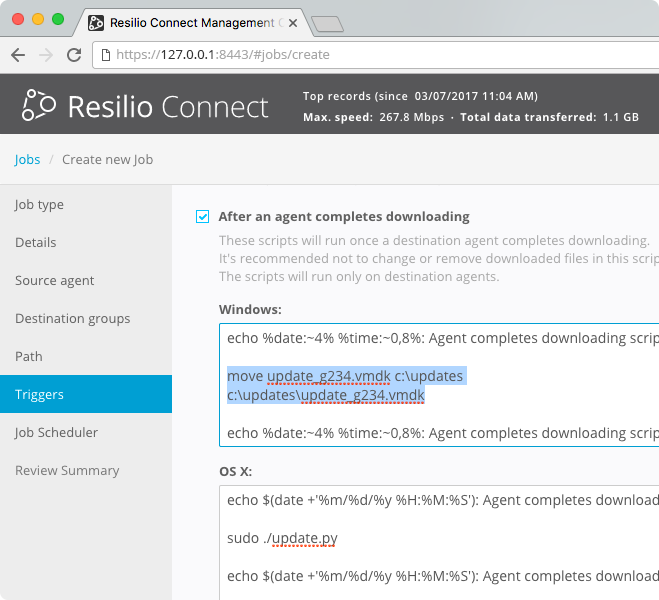 In our example, before installing the update, we’ll move the installer to a folder with proper execute permissions and run it from there. It is sometimes easier to complete a task using a scripting language like Python. For example, for Posix systems we will prepare a simple Python script and deliver it together with the software binary. Our Trigger will execute the script. We will configure it as a one-time job. For a successful command execution the job will be reported as complete in the Management Console. If there are issues in the execution of the job, error will be reported. Double-click on the job in the Jobs tab and in “Post Command Logs” column Fetch and Download the logs to review the reported errors. In a few simple steps we configured a software update job! 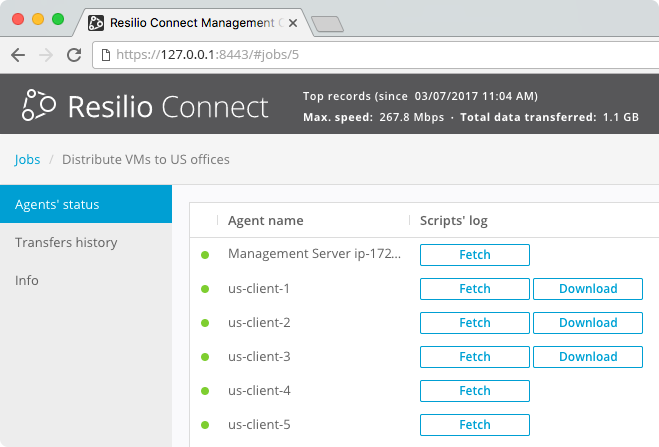 Within this example we only updated a handful of machines, however some of our customers use Connect to deliver updates to 1,000s of machines. They take advantage of our superior delivery speed and reliability to shorten roll-out time by weeks(! ).